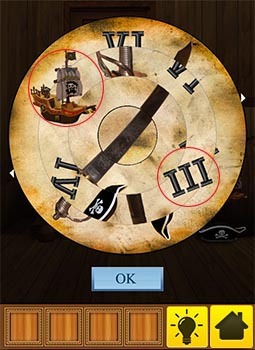 Tap on the pirate wheel to see puzzle. 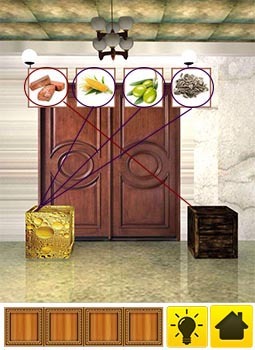 Follow the sequence of objects as shown in figure. 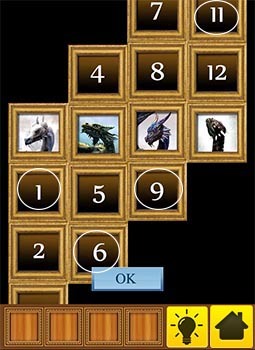 Arrange the puzzle to make sword and get the number. 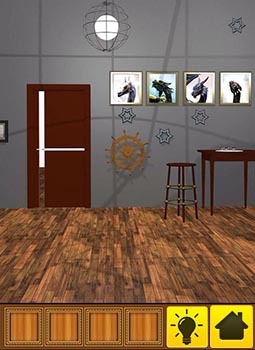 Arrange the puzzle to make Ship and get the number. Arrange the puzzle to make Hat and get the number. 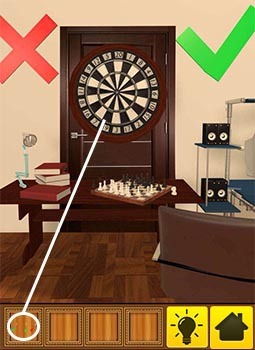 100 Doors Brain Teasers 2 Level 50 Answer, Cheats, Solution for Android, iPhone, iPad, iPod. 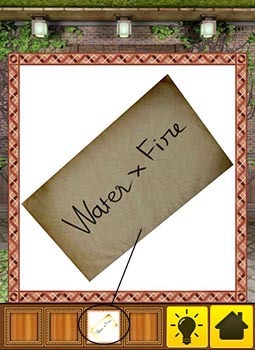 Note: This is "100 Doors Brain Teasers 2" by "ShEk Tech" and "Muddassir Malik"
Paper shows the formula "Water * Fire". Select the key and open the cupboard and get the paper inside it. 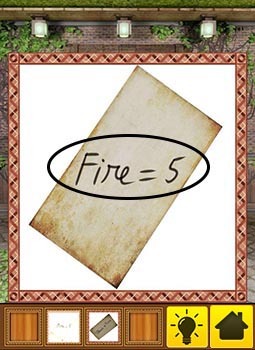 Paper shows the value of fire. 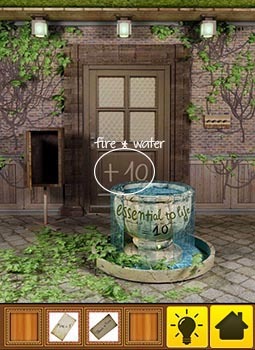 Use the values of fire and water in the given formula. Add 10 in the above value. Answer: 5*10 + 10 = 60. 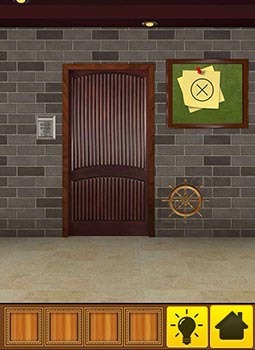 100 Doors Brain Teasers 2 Level 49 Answer, Cheats, Solution for Android, iPhone, iPad, iPod. 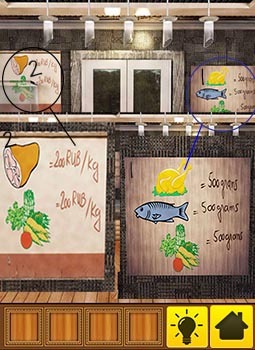 Left board is showing their price/kg. 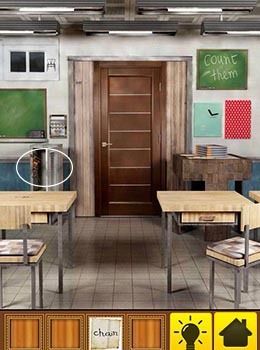 100 Doors Brain Teasers 2 Level 48 Answer, Cheats, Solution for Android, iPhone, iPad, iPod. 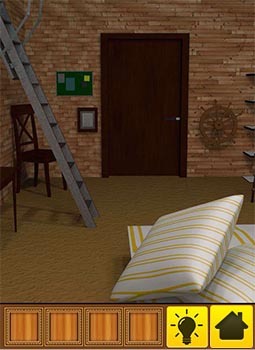 100 Doors Brain Teasers 2 Level 47 Answer, Cheats, Solution for Android, iPhone, iPad, iPod. 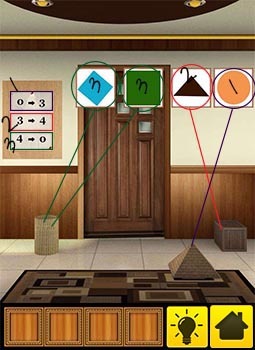 Room logic --> Numbers on board are representing the number of corners of shapes. 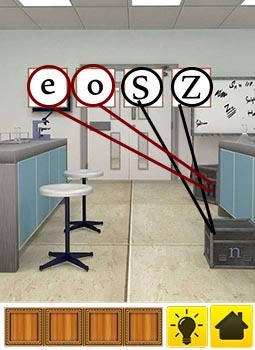 Right side of equation --> objects placed on the floor. 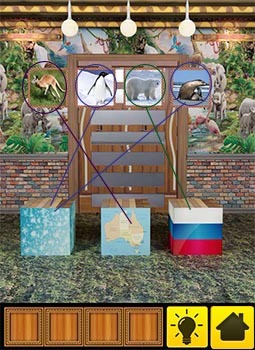 Drag the hanged shapes on to the objects placed on the floor. 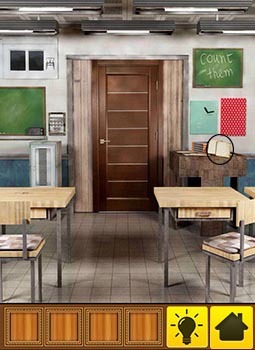 100 Doors Brain Teasers 2 Level 46 Answer, Cheats, Solution for Android, iPhone, iPad, iPod. 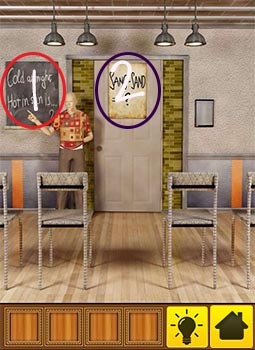 100 Doors Brain Teasers 2 Level 45 Answer, Cheats, Solution for Android, iPhone, iPad, iPod. 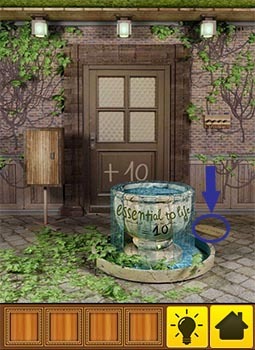 100 Doors Brain Teasers 2 Level 44 Answer, Cheats, Solution for Android, iPhone, iPad, iPod. 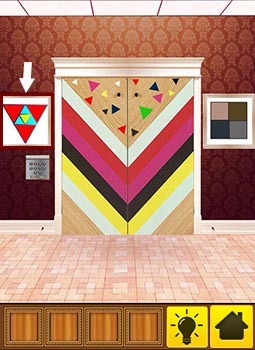 100 Doors Brain Teasers 2 Level 43 Answer, Cheats, Solution for Android, iPhone, iPad, iPod. 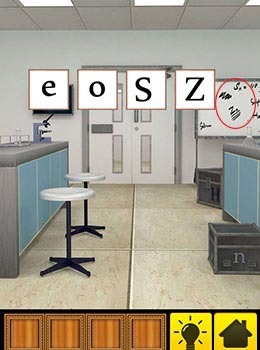 100 Doors Brain Teasers 2 Level 42 Answer, Cheats, Solution for Android, iPhone, iPad, iPod. 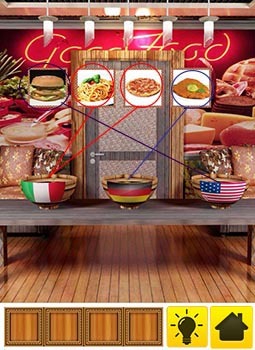 Those from which oil can be extracted will move to the left box and rest will move to the right box. 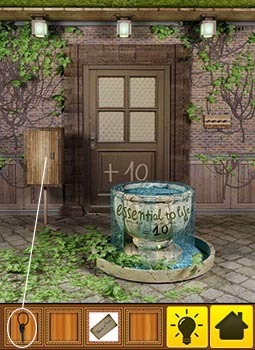 100 Doors Brain Teasers 2 Level 41 Answer, Cheats, Solution for Android, iPhone, iPad, iPod. 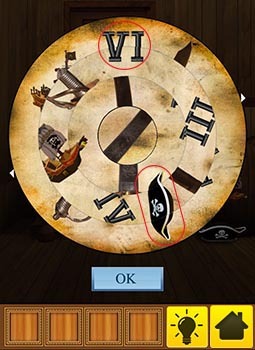 Tap the pirate wheel to view the puzzle. 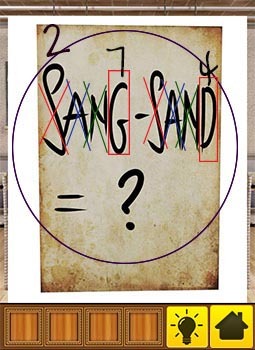 Arrange 3rd and 4th circle in such a way that if we apply the mathematical operators given on the board behind, then the answer should match the number on the 2nd circle. 100 Doors Brain Teasers 2 Level 40 Answer, Cheats, Solution for Android, iPhone, iPad, iPod. Get the paper from table. 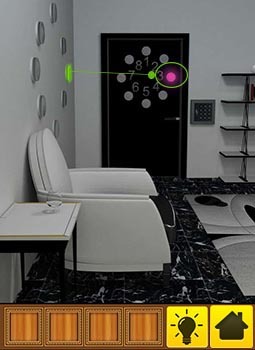 Paper gives the hint to count the total numbers of chairs in the room. 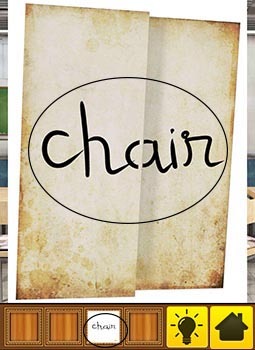 Pick up the image having four chairs from the cupboard. 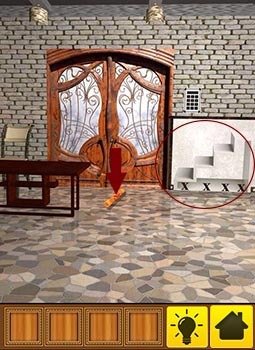 Select the duster and tap on the poster to view chairs on it. Count all the chairs from the spotted areas. 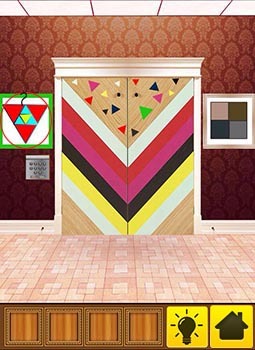 100 Doors Brain Teasers 2 Level 39 Answer, Cheats, Solution for Android, iPhone, iPad, iPod. Tap on the board to see it's zoom-in view. 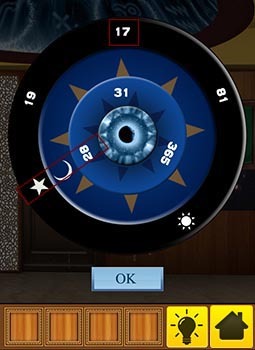 100 Doors Brain Teasers 2 Level 38 Answer, Cheats, Solution for Android, iPhone, iPad, iPod. Arrange the strips as shown in the figure. Answer are the numbers on the left and right side of the 'Ans'. 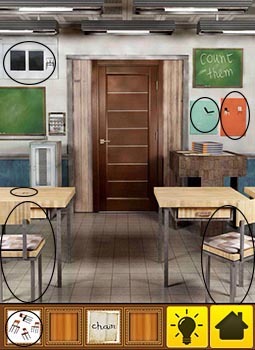 100 Doors Brain Teasers 2 Level 37 Answer, Cheats, Solution for Android, iPhone, iPad, iPod. Tap the scroll on the floor to view the puzzle. Make stairs from the strips.Answer is highlighted. 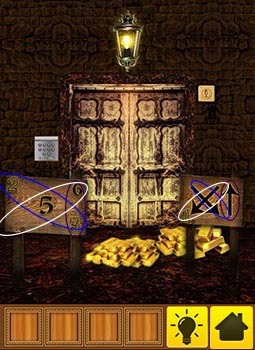 100 Doors Brain Teasers 2 Level 36 Answer, Cheats, Solution for Android, iPhone, iPad, iPod. Tap on the pirate wheel to see the puzzle. 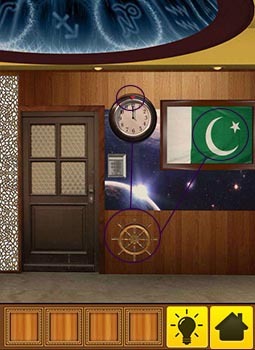 Stars on the wall are showing the answer code positions. Align all the dragons in one line. 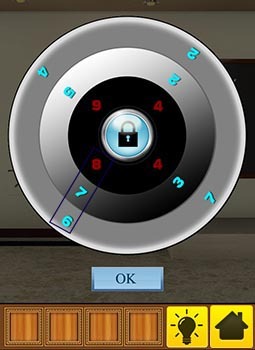 Encircled numbers are the answer. 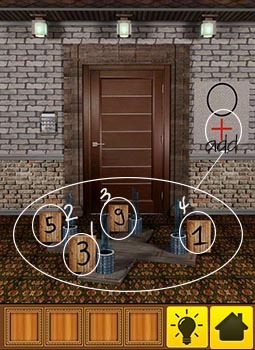 100 Doors Brain Teasers 2 Level 35 Answer, Cheats, Solution for Android, iPhone, iPad, iPod. 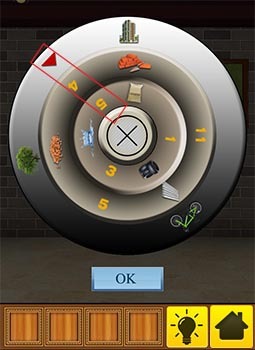 Select the darts and tap on the dart board. 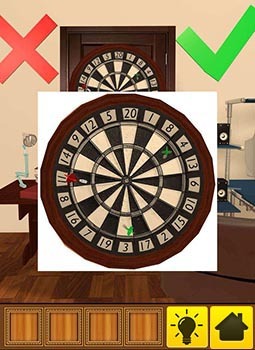 Tap on the dart board to see the position of darts on it. 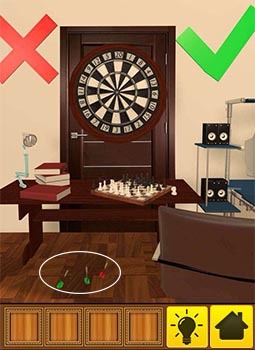 Room wall has tick sign in green colour, so therefore consider the green darts only. Green darts are at the score of 3 and 4. Answer: 3 + 4 = 7. 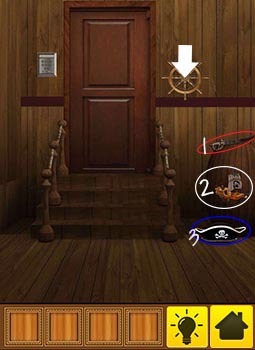 100 Doors Brain Teasers 2 Level 34 Answer, Cheats, Solution for Android, iPhone, iPad, iPod. 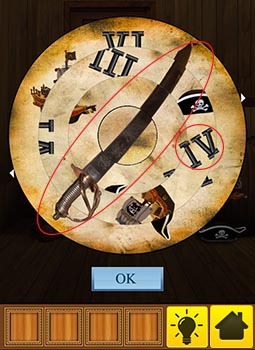 Tap on pirate wheel to see puzzle. 2nd circle: Cement-->Bricks, Water --> Seeds, Tyres --> Pipes. 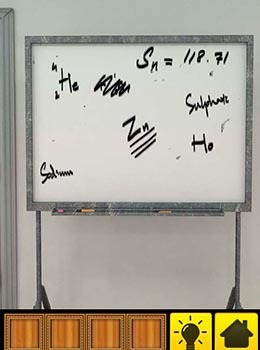 Answer is the multiplication of numbers in front of the arrow. 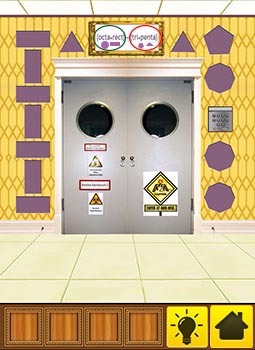 100 Doors Brain Teasers 2 Level 33 Answer, Cheats, Solution for Android, iPhone, iPad, iPod. 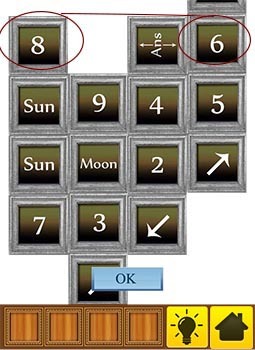 100 Doors Brain Teasers 2 Level 32 Answer, Cheats, Solution for Android, iPhone, iPad, iPod. Tap on the picture of triangles on the left side of the door. Count the number of triangle in the highlighted picture. 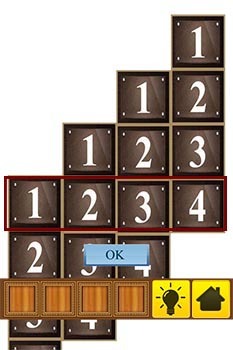 100 Doors Brain Teasers 2 Level 31 Answer, Cheats, Solution for Android, iPhone, iPad, iPod. 3rd circle: position the moon in front of number 28 (Moon is of 28th). 4th circle: position the star in front of moon(moon and star are together in the flag). 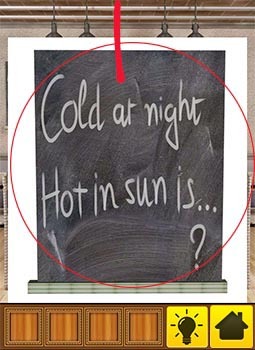 Answer is the number at the position of 12 on the clock. 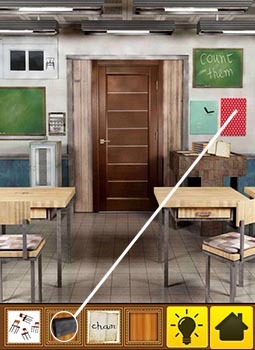 100 Doors Brain Teasers 2 Level 30 Answer, Cheats, Solution for Android, iPhone, iPad, iPod. 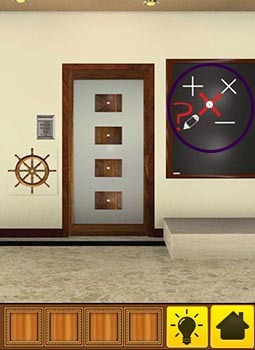 100 Doors Brain Teasers 2 Level 29 Answer, Cheats, Solution for Android, iPhone, iPad, iPod.